Y'all. I can't tell you how excited I am that the 2014 Winter Olympics in Sochi start this week! Is anyone else pumped about that? February is usually such a cold and dreary month around here, so it's really fun to have something like this to look forward to while I wait for spring to come :). I'm the first to admit that the Olympics can be a little overwhelming since there is so much packed into the two week period when the Games are happening. How in the world are you supposed to keep track of all I hate to miss any of my favorite events when they come on TV, so I thought I'd put together a little guide - a cheat sheet if you will - with general information and following the events. NBC can thank me later ;). TV coverage begins on Thursday, February 6th, which is a day before the opening ceremonies (that's something new for this year's games!). To see the full schedule for your area and time zone, go to NBC's Olympics site, type in your zip code and select your cable or satellite provider. Then you can browse events by day, channel and time to find your favorites. The Sochi 2014 site has a really nice events grid for a quick overview of what's happening on a particular day. You can hover your mouse over an individual event for more specific information as well. NBC is going coverage-crazy this time around and live streaming or network broadcasting every single event for the 15 sports that are a part of the Games FOR FREE (as long as you're a verified TV subscriber...) on five networks: NBC, NBC Sports, USA, CNBC and MSNBC. Check out the official NBC Viewer's Guide for lots of details about that. In addition to watching the games on TV, you can stream them on your mobile device using NBC Sports Live Extra App for iPhone or Android. Whew baby. That's a lot of watching to be done! Besides events starting a day before the opening ceremonies, the new thing for these Games is 12, count 'em, 12 new events. Several of the events include both men and women competing together - kind of like mixed doubles tennis. Do any of these pique your interest? The official Olympics site has a little informational video about each one if you want to know more. Since we all have lives and probably won't be able to watch all the coverage, I'd suggest going through the schedule and picking out a few favorite athletes or events that you don't want to miss and put them on your calendar. I'm going to be an go ahead and admit how nerdy I am here because I'm planning to put reminders in my Google Calendar of my favorite events so I don't miss them. Bode Miller (alpine skiing) is competing in his fifth Winter Olympics. That's quite a career - and he's only three medals away from tying Apolo Anton Ohno as the most decorated US Winter Olympian. Does the name Lolo Jones (bobsled) sound familiar? If you watched the last Summer Olympics, it might, because she competed in that too - as a hurdler. Multi-talented, huh? Only 10 Americans have competed in both the Summer and Winter Games. I don't want to jinx it, but how could you not win with a name like Gracie Gold? She's a figure skater who dominated the US championships in January. Here's to hoping she can repeat her performance on the world's biggest stage! CBS Sports also has a similar top 10 list of athletes to watch if you're looking for more story lines to follow. SO. What are you most excited about for the Olympics?? Are you with me on the ice skating and crazy skiing events? Tell me! 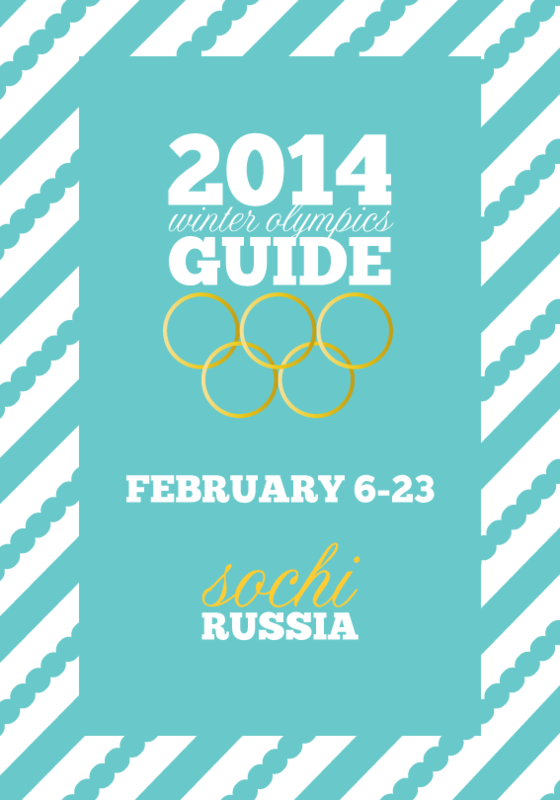 Let's talk Winter Games 2014! Go Team USA! If you had the gold one it just meant you had more money to spend on it, but in replica watches enthusiast circles rocking a steel one to this day means you likely dedicated a lot of effort in hunting. The swiss replica watches behind this tactic is that the much higher mark up on precious metal cases help cover the very high costs of both the development and the manufacturing of said new rolex replica sale or features. Time and again we see brands painstakingly develop complicated movements or other hublot replica which they will only make available in precious metal cased versions even if other models of the same brand do come in steel. Based on what I learned about manufacturing colored ceramics, I go so far as to say the source of the issue is in the rado replica sale used to color it as pigments.